Founder of the Daily Love and author of the new book, "Daily Love: Growing into Grace," Mastin Kipp is in long-term recovery from drugs and alcohol. Kipp shared some of his hard-earned wisdom with CBS News to help those of you involved in #14Days on the Wagon challenge see it through this weekend. While it may have been pretty easy for you to stop drinking during the work week, the weekend comes with its own set of temptations and complications. 1. Get some space. If you're being tempted, excuse yourself and take a break. Kipp says, "Breathe. You're alive. That's awesome." 2. Get grateful. In the middle of a crisis, pause to look around you and find three things to be grateful for. 3. Help someone. Kipp suggests asking yourself, "How can I serve somebody else in this moment?" He says, "I cant tell you how many times I've been so stuck in my own story of whatever I'm going through and I help someone else and I naturally just feel lifted. " 4. Stick to the positives. "Because of mirror neurons in the brain, we tend to pick up habits of the people we're around," Kipp explains, "So you want to be around people who are uplifting and supportive and fill your mind with inspirational material." 5. Eat clean and zen out. Kipp's path to inner peace involves yoga, meditation and a healthy diet. If, after implementing all of these suggestions, you're still struggling with your commitment, Kipp advises looking around your community to find a positive role model. "The thing that got me sober was being around someone who demonstrated sobriety as a role model. He saved my life by demonstrating a sober life." Kipp says if there's something you want to achieve, don't just take the proximity advice of people around you, find people who have achieved the outcome that you want and model your path after them. So keep up the great work! If you're just joining the challenge, check out these healthy suggestions to start your journey. Also, listen to what Dr. Drew has to say about addiction and stigma. And, try tapping with Nick Ortner to relieve your stress. Tomorrow, we explore the effects of addiction on families and children. 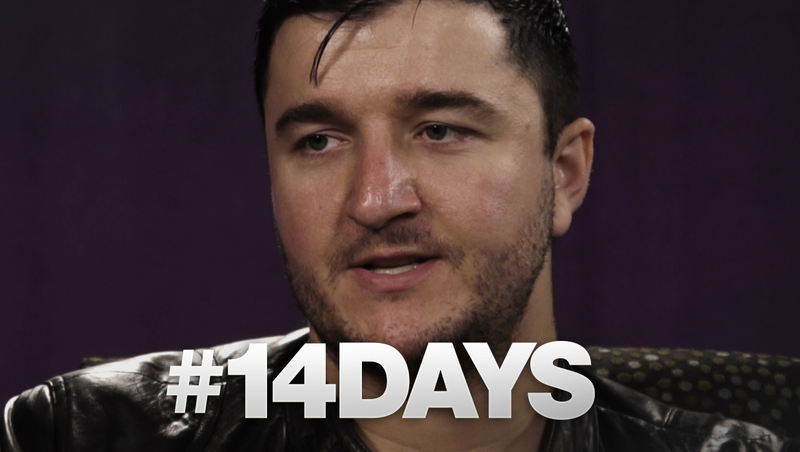 Remember to use the hashtag #14Days to keep us informed of your progress.